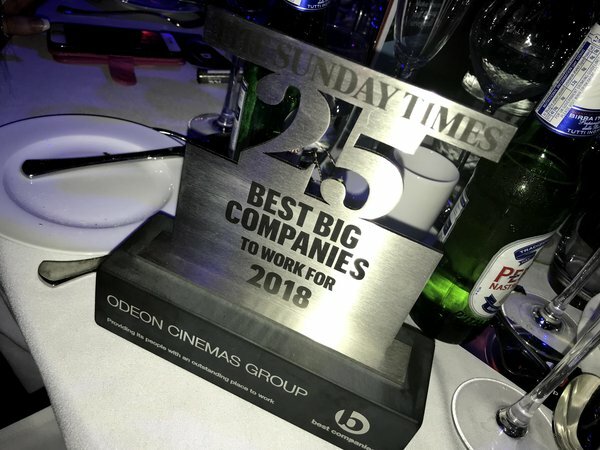 ODEON UK has once again achieved a placing in the Sunday Times Best 25 Big Companies to Work For list 2018, at number 25. This prestigious and highly competitive list represents the 25 companies in The Sunday Times ‘big’ category with the highest Best Companies Index (BCI) scores. 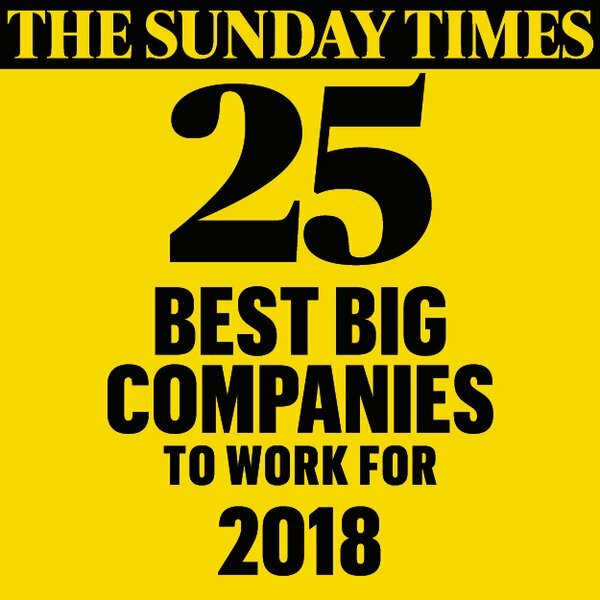 In 2017, ODEON was placed number 25 on the 30 Best Big Companies to Work For list. In addition, ODEON is placed number 15 in Ireland’s Great Places to Work (Best Large Workplaces), having been awarded 16th place in 2017’s list. This is an incredible achievement to be recognised with these accolades for the second year in a row.